It is so beautifully written, in literary terms as well in depth. The book was inspired by Marina Abramovic, the performance artist who made many controversial performances in her life, for example, in 1974 Rhythm 0 she allowed people to use any of 72 projects (including a gun) provided by her to torture her and cut her. She was almost killed by an audience member who was prepared to shoot her. This book, is set during her performance from The Artist Is Present in 2010. She sat still for 75 days, a total of 736-hour and 30-minute static, silent piece while spectators were invited to take turns sitting opposite her at MOMA in NY . There were 1,545 sitters there and they were all video recorded and viewed by millions on Flickr. 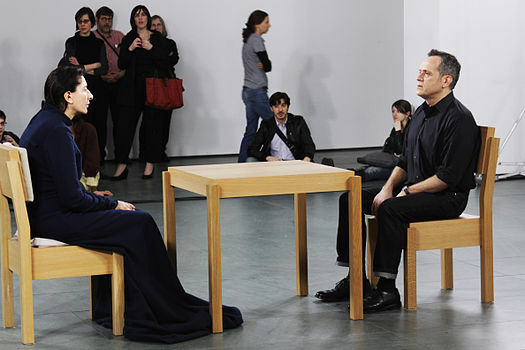 It was a feat of tremendous human endurance that Abramovic presented to the world through art. In this book the author created some strong fictional characters, Arky, the famous music composer who was looking for new connection with his very ill wife; Jane, a new widow, who was searching for the meaning of a life without her beloved husband and a PhD student from Europe, as well as other characters in the book. The way the story was mixed with real facts and fictional stories was interwoven very well and seamlessly. The book asks profound questions about the human connection, the bond between relationships, and understanding of oneself. It’s a very original literary work. I was really touched and moved. I strongly recommend the book to any book lovers. It really deserved the Prize that Rose won. To reserve a copy at our library libcat.parracity.nsw.gov.au. 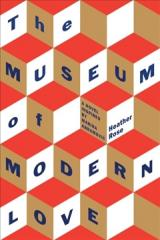 This entry was posted in Awards & Prize Lists, Fiction and tagged City of Parramatta Libraries, Heather Rose, Literary Awards, The Museum of Modern Love, Writer by admin. Bookmark the permalink.